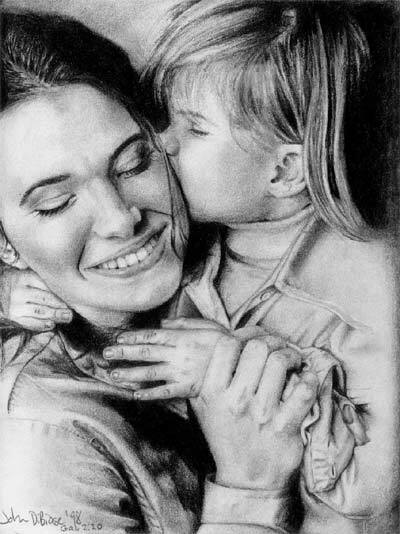 I drew this picture out of being a big fan of Rebecca St. James during my teen years. I had tried several drawings of her in the past but they were all rather unsuccessful. This picture, found in her 40 Days with God devotional book, looked so cute. It soon became a challenge because it was my first portrait with 2 people (Becca with her little sister, Libby). I completed the task with a large range of pencil weights and an ebony pencil to get the blackest areas. In this photo, Rebecca’s about 18 or 19 and her sister’s about 2.